Round Diamond Cushion Halo Engagement Ring in 14k White Gold | Shane Co.
One hundred and fifty-six brilliant round diamonds at approximately .51 carat total weight sparkle in this gorgeous engagement ring. 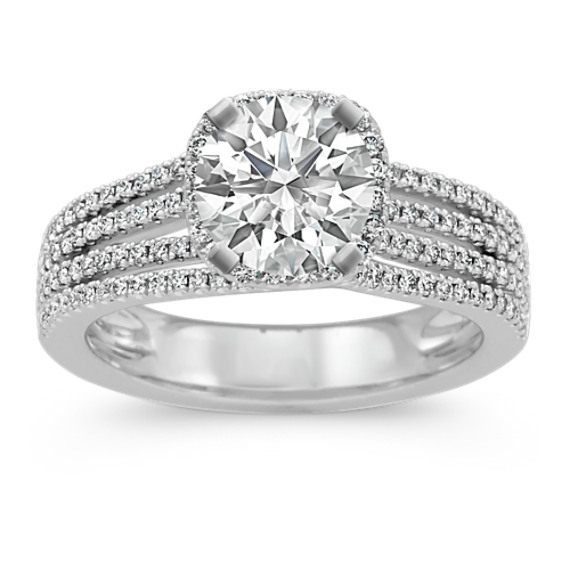 The cushion halo design measures 8.5mm long, while the band measures 5mm in width. Simply choose a center gemstone of your choice at approximately 1.00 carat and create a ring she will forever admire.